 Our goal at Ray’s is to make your experience a truly memorable one. We’d love to hear about your experience or how we can help you. For reservations or questions about private events, please contact the restaurant directly, at 770-955-1187. For media or public relations inquiries, please contact Melissa Libby, melissa@melissalibbypr.com. If you are inquiring about a private event, please include your event date, estimated number of guests, and whether this event is for lunch or dinner.